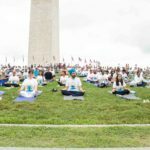 Third International Yoga Day in celebrated in Washington D.C.
International Yoga Day in Washington D.C.
Indian Ambassador to the U.S. Navtej Sarna leads the International Yoga Day in Washington D.C.
WASHINGTON (Diya TV) — The third annual International Day of Yoga was celebrated on June 17, 2017 at Sylvan Theater on the National Mall in Washington DC. 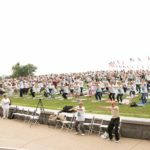 Nearly 2000 people from all walks of life attended the event and participated in these celebrations with great enthusiasm. The programme started with screening of the video messages from Hon’ble Prime Minister of India, Shri Narendra Modi, Hon’ble External Affairs of India, Smt. Sushma Swaraj and Hon’ble Minister of State for AYUSH, Shri Shripad Naik. 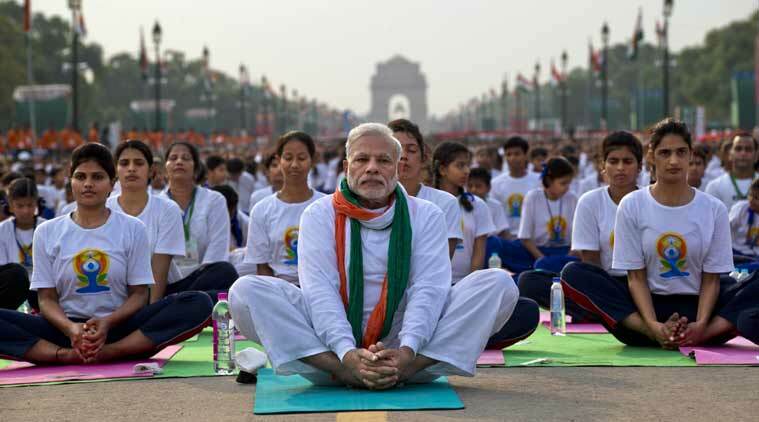 Emphasising the increasing relevance of Yoga in this day and age, the Prime Minister explained Yoga’s role as a means of experiencing and achieving holistic life in a balanced way, while the External Affairs Minister underlined the role of Yoga in relieving stress. Ambassador Navtej Sarna addressed the gathering. 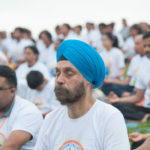 Welcoming the participants, Ambassador Sarna noted that the practice of Yoga is totally devoid of any political or communal motives and is dedicated to well-being of the humanity at large, as it leads to a state of mental and physical equilibrium. 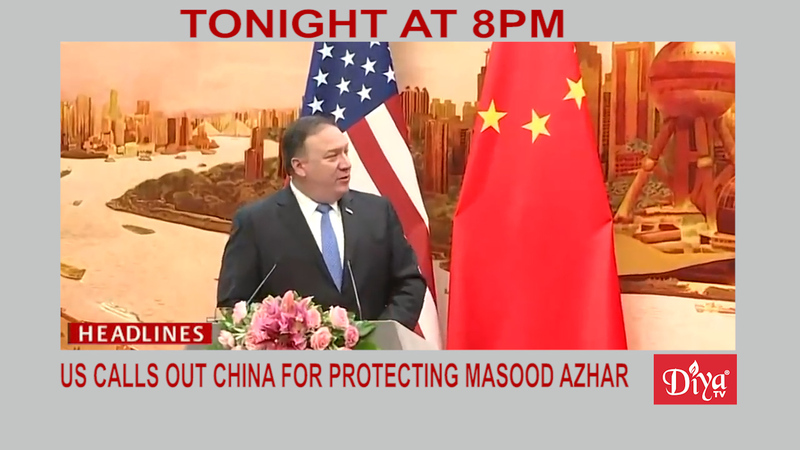 The participants also included officials and representatives from the State Department, DC Govt, Smithsonian Institutions, World Bank, academic institutions, Think Tanks, representatives of various Embassies, local representatives of Indian news media and other key local organizations. 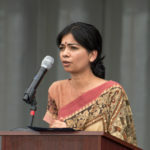 Many leaders from the United States issued proclamations and felicitation messages to support and commemorate the Third International Day of Yoga and spread awareness about Yoga. 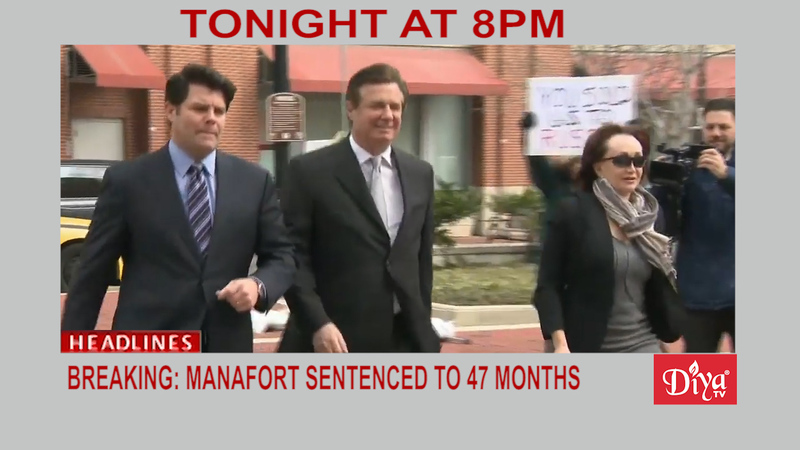 These included Governor of Maryland, Governor of Virginia, Senator Mark Warner, Senator Chris Van Hollen and Mayor of Washington DC. 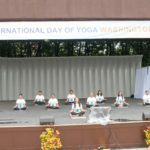 Indian Embassy presented this event in collaboration with ‘Friends of Yoga’, a group of organizations which support and promote Yoga and community organizations to celebrate the Third International Day of Yoga. 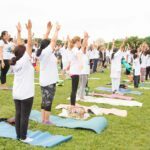 The event featured a musical montage of photos of the two previous Yoga Day events followed by guided Yoga session based on ‘Common Yoga Protocol’ video created by Government of India. The Yoga session concluded with Sanskrit Shaloks and Shantipath, the text for which was displayed on the Jumbo LED screen. 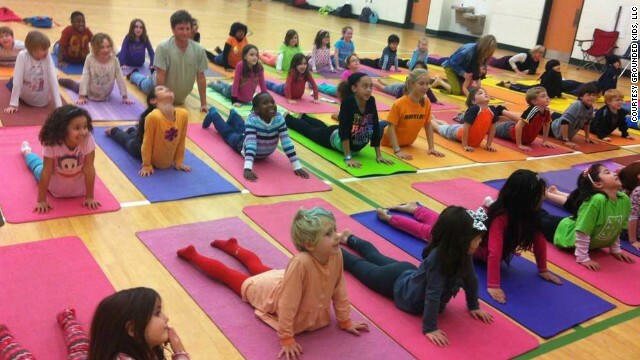 Following Government of India’s initiatives and plans for celebration of International Day of Yoga, Embassy has been organizing various yoga related curtain-raiser events to welcome and promote the International Day of Yoga. 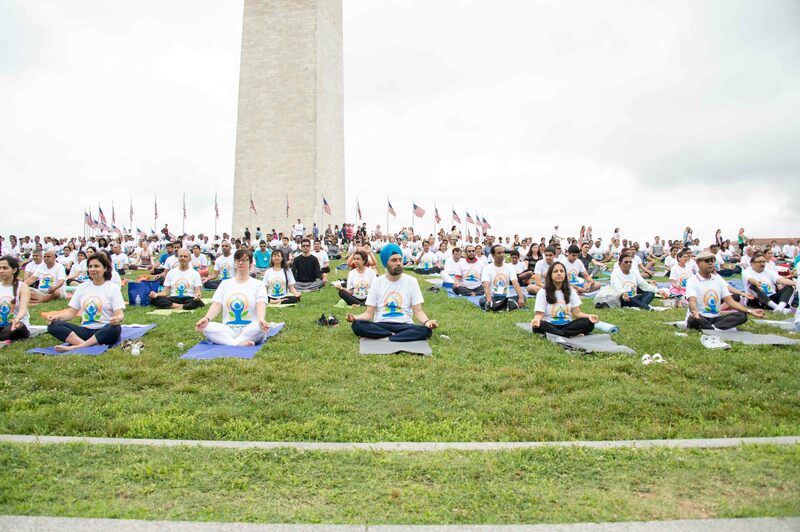 The Embassy is collaborating with Yoga organizations in the region to present events at the Capitol Hill, World Bank, Sri Siva Vishnu Temple, Heartfulness Institute, John Hopkins University in Washington DC and other places.